We’ve come so far in the smartphone market that most hardware releases are rather boring with a processor a little faster, maybe a higher resolution screen and so on, without real exciting innovations. HTC U11 does change that somewhat as the smartphone allows to interaction by squeezing the edges for example to quickly take a picture. The company calls that “Edge Sense” technology. Battery – 3000 mAh battery with Quick Charge 3.0 support; 3G/4G talk time: up to 24.5 hours; 3G/4G standby time: up to 14 days. The phone Android 7.1 with HTC Sense user interface. Beside Edge Sense, on the selling point of the smartphone is that it tops DxOMark Mobile camera benchmark with 90 points, and just ahead of Google Pixel with 89 points. 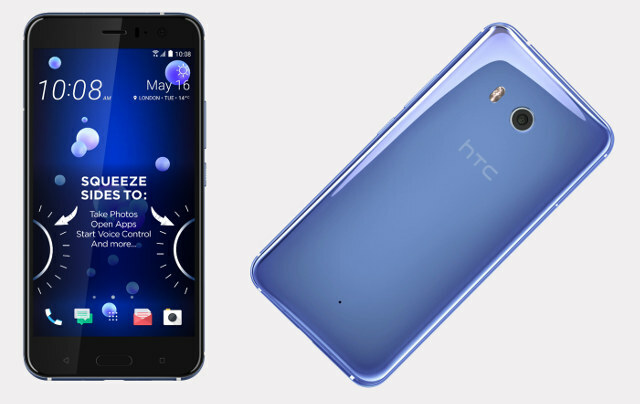 The smartphone can be pre-ordered in Blue, Black or Grey for $649 directly on HTC U11 product page, where you’ll also find a few more details.